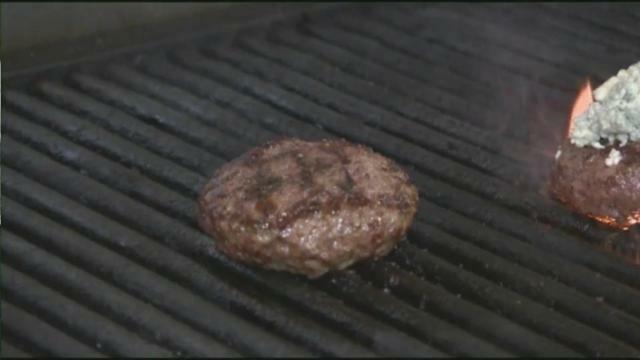 Area farms, restaurants make most of trend toward local, organic beef. Chapel Hill, N.C. — Al Bowers isn’t hard to find. 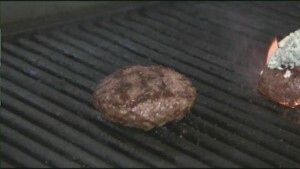 As the founder and owner of Al’s Burger Shack in Chapel Hill, he’s in his restaurant most days. You might find him alongside his cooks doing food prep, frying bacon in the mornings. Or you might catch him walking down the street to visit with neighbors, or chatting with folks as they pass the Shack, waving to friends who call out or beep their horns on their way down Franklin Street. “You build relationships with the community,” Al says. “Giving back is extremely important to me.” The burger joint, which celebrated its two-year anniversary in September, has become a Franklin Street staple, and its burgers have won numerous accolades in magazines like Garden & Gun and from award-winning burger blog Straight Beef. Bowers credits that to the Shack’s special emphasis on fresh, local ingredients. Increasingly popular, “farm to table” restaurants like Al’s are just one piece of the “buy local” food movement. Farm-to-table is defined specifically by food going from local farms directly to the restaurant, rather than first passing through grocery chains. Many local farms shun the additives used by commercial farms, the food is much fresher and local farms see the benefit. According to a report by the U.S. Department of Agriculture, there was a near 200 percent increase in the growth of farmers’ markets from 2007 to 2014. Although at one time eating organic might have been considered a fad, consumer demand for those goods continues to show double-digit growth, according to the USDA. 2014 was a record breaking year for organic food sales, with totals reaching $39.1 billion, up 11.3 percent from 2013, according to a recent survey done by the Organic Trade Association. Five years ago, people might have considered the local food movement a trend, but for Al and others, it’s moved beyond that. Al always wanted his burgers to be as local and additive-free as possible, so when it came to the beef, he knew he had to get it right and find the perfect flavor profile. 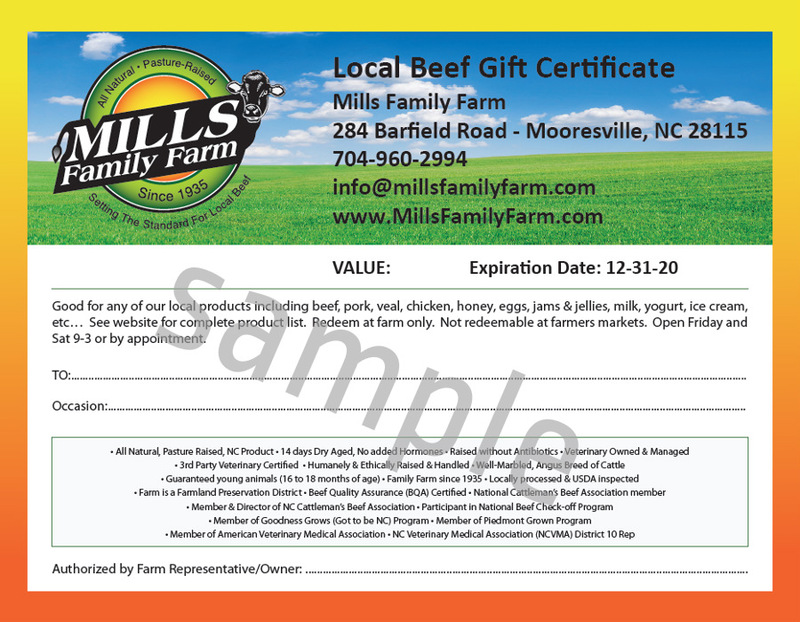 After trying about a dozen options, he eventually found Mills Family Farm in Mooresville, N.C. The 204-acre Mills Family Farm has been around since 1935. Today, Bradley Mills, who began running the farm in 1994, focuses on growing the 230 cattle on the farm, while his wife, Nicole, manages distribution. Their official USDA label claim: no hormones added, no antibiotics, pasture raised. As a doctor of veterinary medicine with a degree from N.C. State, Bradley’s “main” job, outside of working on his farm, is traveling throughout 15 states as a veterinary consultant for large farms of 1,000 animals or more, checking animal health and working with food safety for the cattle. At Mills, he fine tunes the diet for his cows each day to make sure they get the nutrients they need. On a wet, misty morning, Bradley drives his truck slowly down a rocky road between pastures on the farm, passing a lazy-looking groups of cows. At this USDA-inspected facility, the cows will spend six to eight months of their life in pasture, eating a grass diet with vitamin-supplemented feed, until they reach slaughter weight. Then, Bradley and Nicole will load them up to be taken to May’s, the family-owned processing plant that partners with Mills farm for slaughter (It’s a quick 45 minute drive, in comparison to the miserable, packed, sometimes days-long trips that commercially raised cows take. ), where they’ll be inspected for any health issues by a USDA representative. After a two-week dry-aging process, the meat will be packaged and labeled by May’s, and sent by truck to the Raleigh division of U.S. Foods, which distributes the meat to grocery stores across the Triad and along the coast, as well as restaurant clients like Al’s Burger Shack. Although Bradley’s cows are raised on pasture, are never given antibiotics and will never receive the hormone implant used in commercial beef to make cows grow more efficiently, he doesn’t begrudge the practices of other farmers. “We know the consumer wants the animals on pasture for the perceived benefits of pasture and grass, and the aesthetics,” Bradley says, but also notes the “highly managed system” commercial cattle are part of when they leave pasture for feed lots and the large, dry farms where cows quickly put on an average of 500 more pounds before slaughter. There’s a reason for the hype, however. Although the differences might be scientifically insignificant, the difference makes itself clear. Mills Farm might be simply filling a need in the market because of the demand for local and organic food, but the impact of this type of beef on the food industry and on consumers is real. 34-year-old Karina Mendoza from Concord, N.C., makes a 40-minute drive out to the farm with her husband and two young sons every few weeks, and for Karina, it’s more than just a trend. The health differences that Karina has experienced from switching to local, additive-free beef are, for her and others like her, very obvious. But there are other benefits to direct-to-consumer farms like Mills that are less obvious though just as important. According to a recent survey by Consumer Reports, sustainable ground beef, labeled as organic, grass-fed or raised without antibiotics, is safer for consumers and less likely to contain the levels of bacteria that conventional beef has. Testing of 300 samples of ground beef from 26 cities across the U.S. showed that 82 percent of conventional or non-organic beef had more than one type of bacteria that can make consumers sick, while only 58 percent of sustainable beef did. Researchers believe this difference might come down to the close quarters and stressful environment of the feed lots where commercial cattle spend their last months. And customers like Al and Weaver Street Market are taking note. With new research pointing to higher risks associated with conventional beef, and an increasing awareness of sustainable food sources, the local food movement is likely to remain popular. Although many consumers who are partaking in the trend of buying local and organic beef might not understand the science behind the movement, it’s nonetheless important to note the real, positive differences that exist between it and conventional beef. For restaurant owners like Al, it all comes back to giving the community a tasty, quality product, and consumers are noticing. Nicole notes the explosion of business that Mills Farm has experienced in the past few years, thanks to word of mouth and the increase in awareness of what people put in their bodies. Mooresville and surrounding areas. Licensed to ship our meat anywhere in the US. What Are the Health Benefits of Eating Local Pork?